Billy Ferrell, who plays the Cowardly Lion remembers, “I have loved the Wizard of Oz since I was a child. This holiday season, DreamWrights invites families to enjoy The Wizard of Oz. And what’s better than watching this iconic adventure story with your family? Bringing the story to life with your family! Many DreamWrights crew and cast members are working to stage this show along with family members. It is a wonderful way to spend quality together time during the busy holiday season. Billy Ferrell, who plays the Cowardly Lion remembers, “I have loved the Wizard of Oz since I was a child. I was fortunate to perform as a munchkin when I was 11 years old, and it has been a dream of mine to perform in it again since then. I never could have imagined performing in it alongside my daughters. 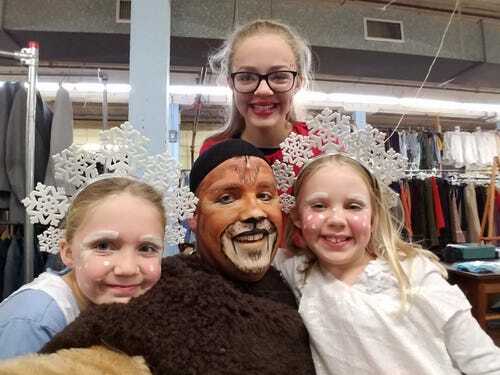 We are making lifelong memories together.” The Ferrell girls can be seen onstage, Elizabeth and Rebecca as snowflakes and Julia as a Jitterbug. 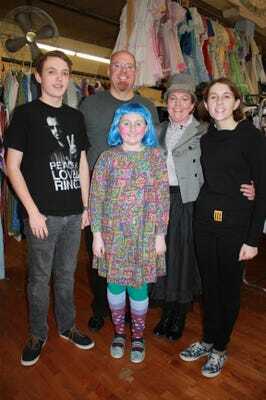 We invite you to see the Frasers and Ferrells in The Wizard of Oz. It runs December 2, 3, 9, 10, 16, and 17 at 6:30pm and December 3, 4, 10, 11, 17, and 18 at 2:30pm. Tickets may be purchased online or by calling 717-848-8623. And why not join the fun yourself by rounding up your own family and auditioning for our next show, Babe, the Sheep-Pig?! Auditions will be held December 13 or 14 at 6:00pm. No prior experience necessary.